With quality graphic display system, one can easily manage the display of goods. 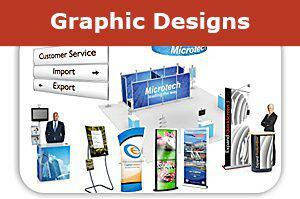 Get the best graphic display system and enhance your product marketing. When there is a time to create an appealing and promoting graphic display system for your exhibition or trade show booths, it is imperative to have a professional, attractive and conveniently assembled and disassembled display system. Each person may be concerned with making the trade show backdrop a versatile one along with adding extraordinary and catchy graphics. Trade shows are a great chance to exhibit different products and services offered by a business and that too in the most effective manner. 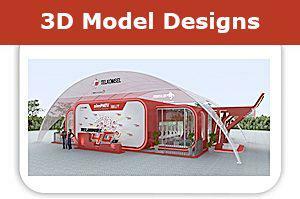 The main aim of such exhibits and graphic display systems is to draw the attention of various prospective customers. Displaying one’s products at an exhibition or trade show in an effective manner will definitely help to generate various new leads. Therefore, it is highly imperative to ensure that the display systems added are of high quality graphics and other appealing messages. Displaying one’s products through graphic display system can also contribute in reconnecting with the old customers along with getting a new customer line at the very same instance. The color scheme and type of the products highlighted on the display systems along with the nature of business play a vital role in the overall designing of the exhibits at a trade show. There are various modular graphic display systems also available that helps in acting as a stand-alone banner for displaying various products and services of a company thereby establishing the uniqueness. Well-designed graphic displays can be efficiently used in order to display the brand name and logo of the products. This will definitely contribute in more sales and better branding. Standard graphic displays are very famous and are generally found behind the podiums at most of the trade shows or conventions. The folding frames of such standard displays are normally made of aluminum or fiberglass tubes. The entire frame is brilliantly covered with various display and graphic design in order to provide the visitors the best of display systems and grab all their attention. These graphical displays can be showcased in various color combinations and then laminated for complete protection. There are printed graphic display systems as well that does not involve any extra graphical panels to be attached on the frame. These display systems are widely admired and demanded as they have the brilliant facility of creating a highly professional and sophisticated backdrop. The fabric used in such printed systems is both flexible as well as durable so that they can be conveniently folded and unfolded. The fabric banner graphic display systems are the best low cost solutions in order to create a graphical wall, serving as the back of any trade show or exhibition space. Various messages, images and other promotional items may be added in these display systems in order to hold the interest and attention of the customers along with promoting and describing the company’s goals, motto or services. It is important to have rugged, innovative and patent designed graphic displays that are completely backed with a lifetime frame guarantee feature in order to ensure a trouble-free exhibition time.